I was listening to the radio on the train whilst commuting into London earlier today, hoping I wouldn’t reach the part of the journey where the signal drops out just as the news broke, but fortunately I was able to listen live to the speeches made by Jean-Claude Junker and Theresa May. The terms of Britain’s exit from the European Union have been agreed. 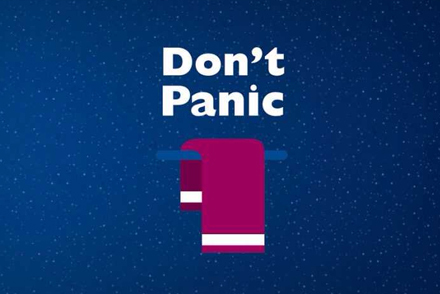 It seems an appropriate time to use the words printed on the cover of Douglas Adams’ famous book, the Hitchhikers Guide to the Galaxy. There has been a huge amount written and said in the last few days about the negotiations regarding the UK’s departure from the EU but it seems, for the moment at least, fears of Theresa May resigning and another election being called have receded. Exact details will need to be ironed out but on the three key issues – outstanding payments, special rights for citizens and the Northern Ireland border – an approach has been agreed by both sides. The Northern Ireland issue has been the most contentious recently, due to the history involved, and due to the fact that the involved parties have a direct political input into the negotiations – the DUP in particular. The key clause in the statement boils down to a commitment to maintain the status quo with the island of Ireland, regardless of the outcome of negotiations. On the face of it, this seems to significantly increase the prospects of the UK remaining in the Single Market and Customs Union, or something very similar. The next stage of discussions can now begin, where the UK and the EU agree on their future trading relationship. Today’s announcement represents progress, but there is still a long way to go. Quite a few people have pointed out this was the easy bit! There are just 476 days until we leave and its 532 days since the referendum took place already. There really isn’t much time and there is a huge amount left to agree. This begins to look like the “Hard Road to Soft Brexit” scenario, namely that when the political rubber meets the road, there will be room for a more pragmatic solution. You will not be surprised to hear us repeat our usual mantra which is that there is no reason to make any changes to your portfolio because of today’s events, because these are diversified, long term investments and we haven’t yet found a way to reliable predict the future. We will continue to monitor the situation as it unfolds and provide updates as and when something interesting happen.